The jump to optimization outside of the four walls is challenging for manufacturers, which have traditionally been focused on reducing risk. Today, they can better predict the impact of an unexpected event and are turning their attention toward cost containment, now achievable through globally integrated supply chains. The road to supply chain visibility is lined with opportunity, yet most manufacturers don’t know how to attain the end-to-end transparency they require. 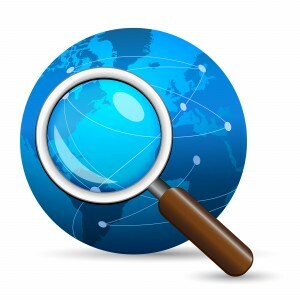 The data suggests that few manufacturers have real visibility. According to the 2014 KPMG Global Manufacturing Outlook: Performance in the crosshairs report, 40 percent of manufacturers lack visibility in the supply chain. Of those, 33 percent attribute this challenge to inadequate IT systems and missing skills. However, the majority of manufacturers are optimistic they will achieve a globally integrated supply chain with the next 3 to 5 years because they finally trust top-tier suppliers with their real-time data. Globally integrated supply chains are key to containing costs. For total visibility, manufacturers need trust, technology, and talent. KPMG Supply Chain & Operations Partner Brian Higgins acknowledges improvements over the past 12 months, citing that 20 percent of organizations believe they have total visibility and, in fact, “three-quarters of high-tech manufacturers could likely claim complete visibility.” However, Higgins admits that most consumer and industrial manufacturers still struggle with this issue. If that’s the case, how can manufacturers achieve global supply chain visibility? To gain total visibility, manufacturers need trust, technology, and talent. Experts agree that to attain complete transparency, organizations must trust their suppliers, embrace new technology, and employ talent with the right skills. KPMG research reveals that of those manufacturers who have improved supply chain visibility, the majority attribute it to improvements in data reliability and stronger relationships with top-tier suppliers. “You simply can’t build the type of relationship you need to share real-time data without trust,” stated Osamu Matsushita, KPMG’s Industrial Manufacturing Leader for Japan. And as long as suppliers feel they are “being measured and evaluated based on their real-time data,” Mr. Matsushita expects trust will continue to prove challenging—although he’s encouraged by the suppliers and manufacturers that are making strides in the sharing of real-time information due to advancements in data capture technologies, which enable the instant sharing of actual capacity and demand data. As visibility increases, so does the need for skilled staff. To take full advantage of the huge volume of transactional data captured by mobile devices and sensors physically embedded into equipment as the result of the Internet of Things (IoT) evolution, manufacturers must adopt sophisticated predictive and prescriptive analytics. But having the right tools is only part of the equation for success. According to VDC Research, teams of data scientists are essential if manufacturers want to compete in the global marketplace. By investing in these specialized analysts, organizations can fully realize the benefits of “big data” and achieve globally integrated supply chains. Not only does this investment facilitate instant optimization of processes in real-time and total end-to-end visibility; it substantially reduces working capital and dramatically minimizes exposure to risk. Visit the System ID blog for more information about emerging technologies and the System ID website to see current mobility products and solutions.